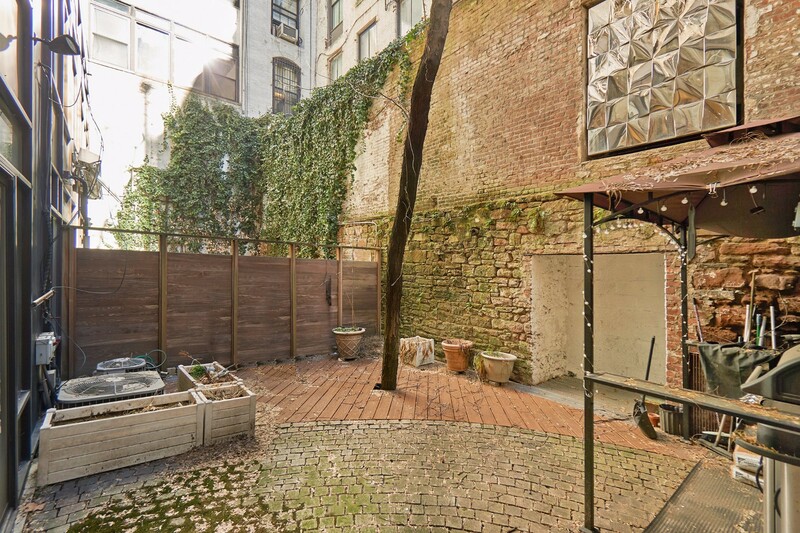 Duplex SoHo loft (restorable 2-bedroom) with private outdoor space brings a serene twist to a lively cosmopolitan neighborhood. Tucked inside the coveted West Broadway Arches co-op, Apartment 1C leaves guests blissfully unaware of the hustle and bustle outside. 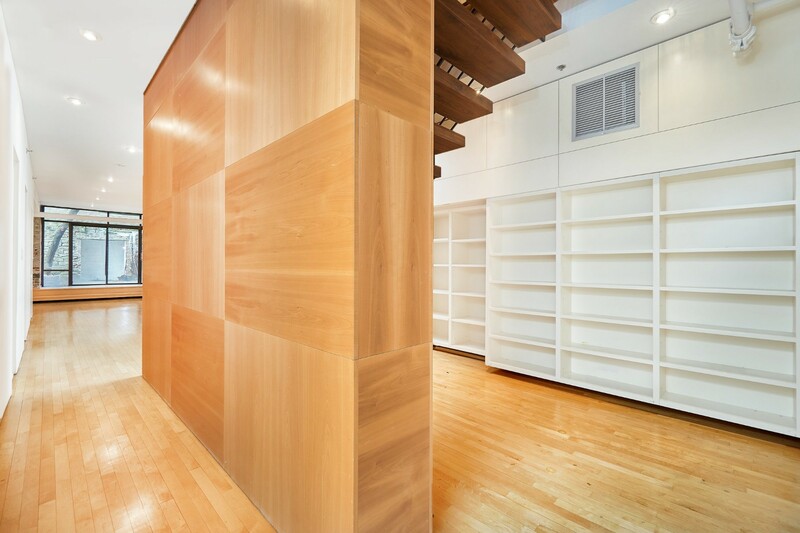 Despite boasting a 2,200-square-foot duplex layout, 13-foot ceilings, and gracious floor-to-ceiling windows, the apartment is pin-drop quiet. 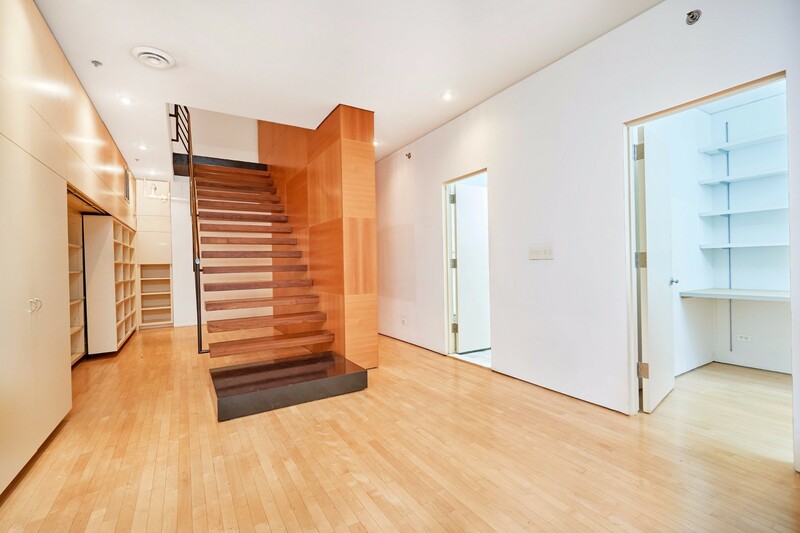 The combination of the open-concept layout and private garden make Apartment 1C ideal for people who love to entertain, but also desire privacy. Upon entering Apartment 1C, guests are welcomed to the main floor where the large open kitchen, spacious dining area, living room and full bathroom can be found. The kitchen features Viking, Gaggeau, Whirlpool and GE Profile appliances, double-thick soapstone countertops, and a custom Italian cut-glass tile backsplash. The 13-foot windows are dressed by motorized Hunter Douglas window treatments, and peer into the private garden that is ornate with a custom sculpture designed and crafted by Caliper Studio. 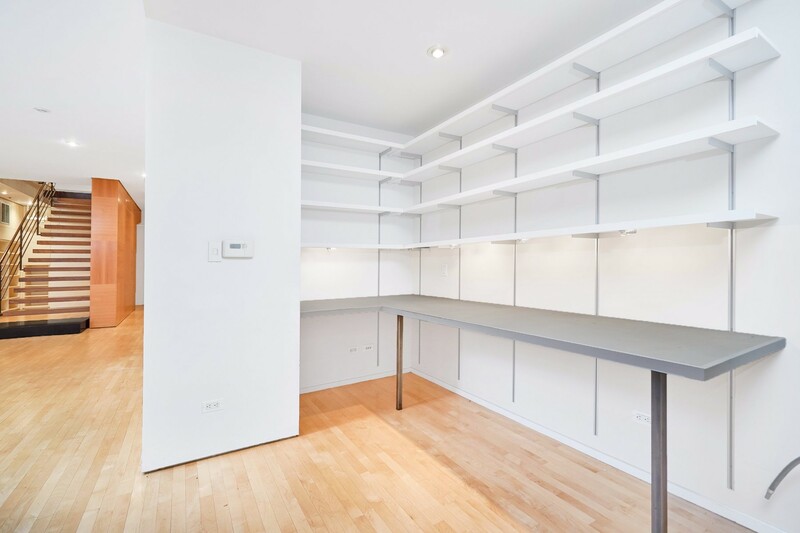 The apartment's open layout is complimented by its functional design; floating cabinets and length-long shelving provide convenient and abundant storage. 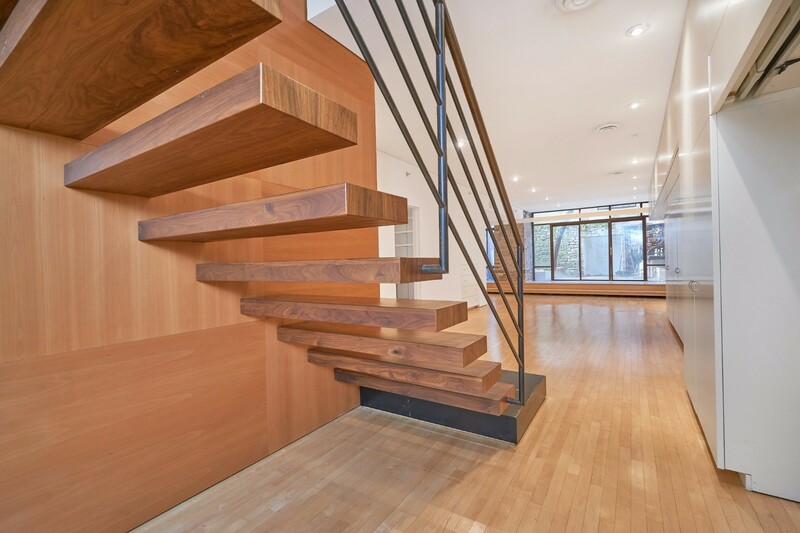 An elegant floating staircase leads visitors to the lower level where the bedroom area, office, full bathroom, and entry to private garden can be found. 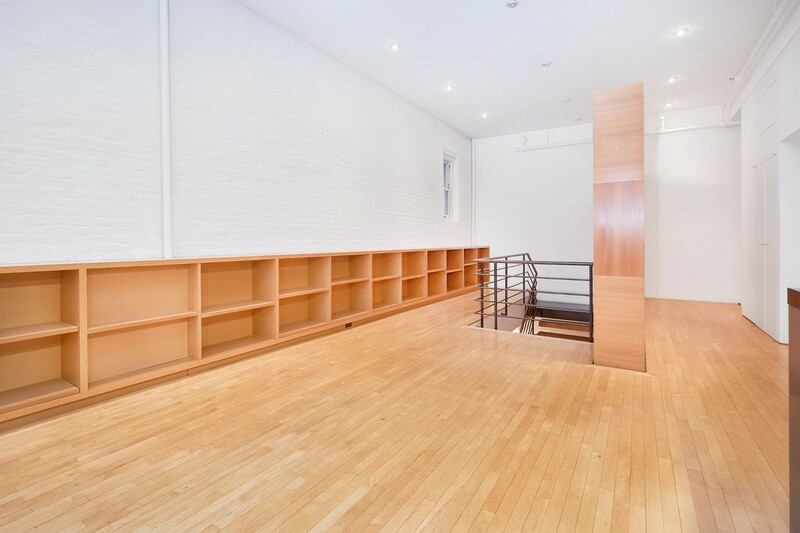 Exposed brick and custom closets line the wall, accentuating the loft's classic charm. 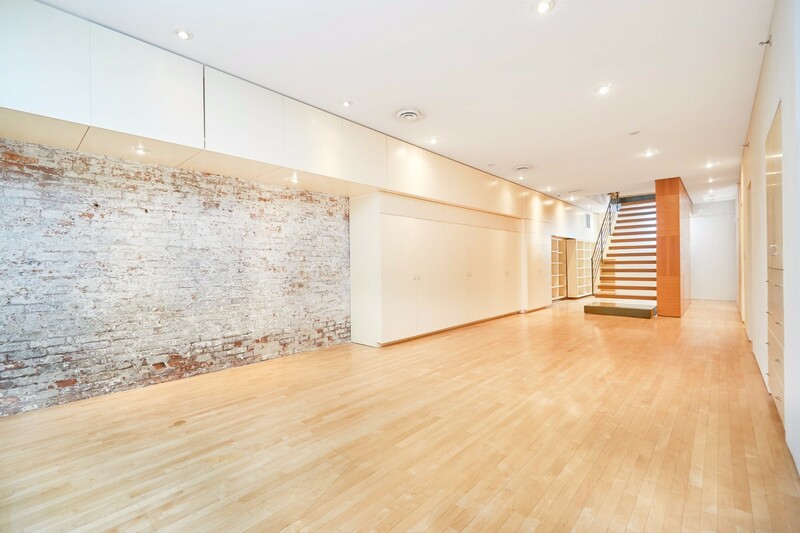 This floor can easily be restored to its original two-bedroom configuration. 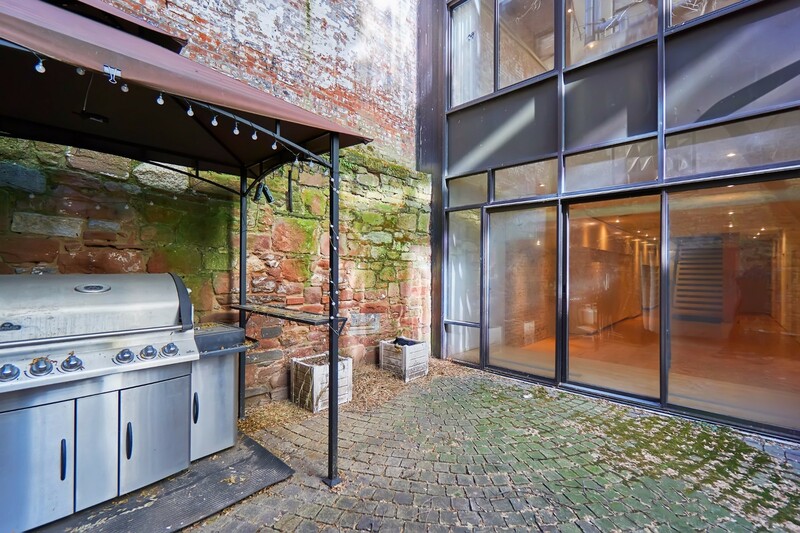 The lower level opens to the expansive outdoor space where privacy is secured by a 200-year-old tree that creates a private retreat vibe. A gazebo homes a 3-burner Napoleon Grill with rotisserie and sear additions creating a perfect atmosphere for entertaining! The private laundry room and pathway to building's storage can also be accessed on this level. 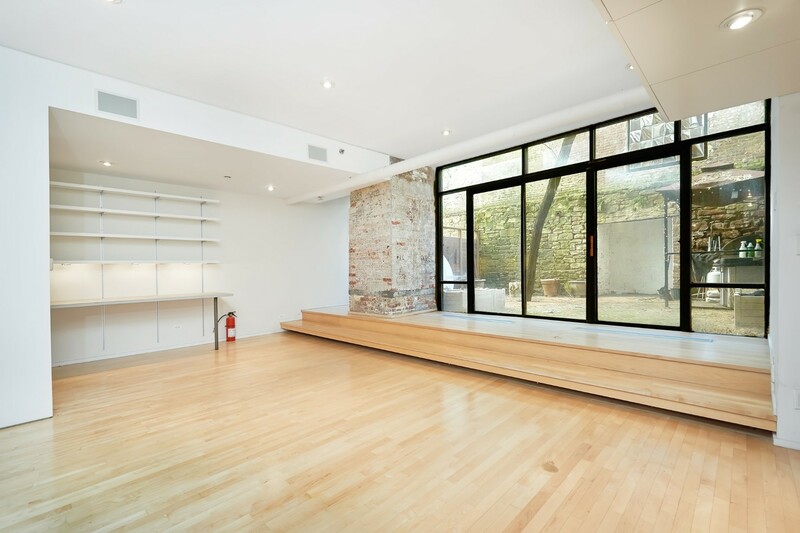 Apartment 1C offers an amazing opportunity to live in one of the most sought-after coops in SoHo. 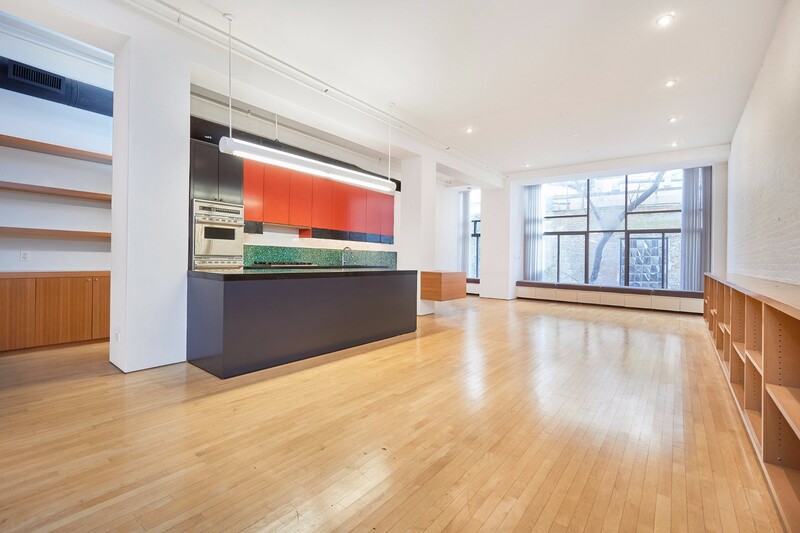 Adorned with its striking red brick and cast-iron details, and located amid the SoHo Cast-Iron District Extension, 140 Thompson Street evokes the spirit and historical charm of its vibrant neighborhood. As part of the West Broadway Arches co-op, originally a paper goods factory, 140 Thompson harbors the artistic culture it surrounds. 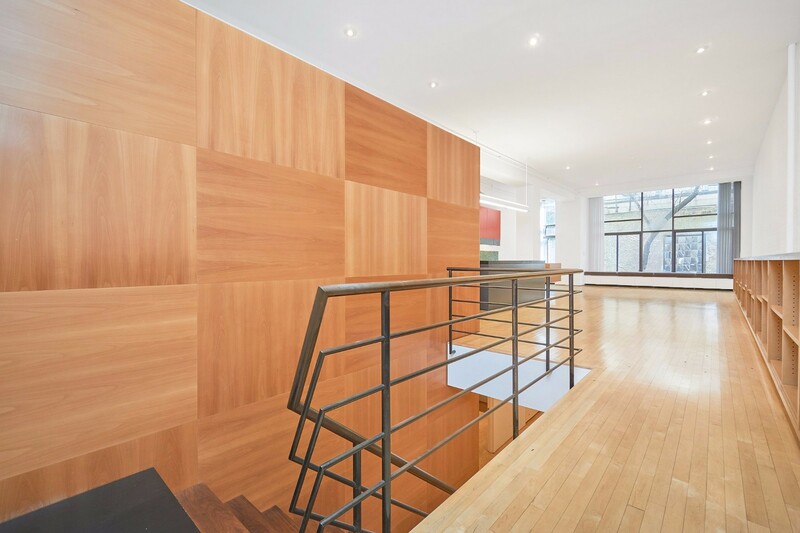 This landmarked building is steps away from legendary music clubs, internationally acclaimed art galleries and exceptional dining. 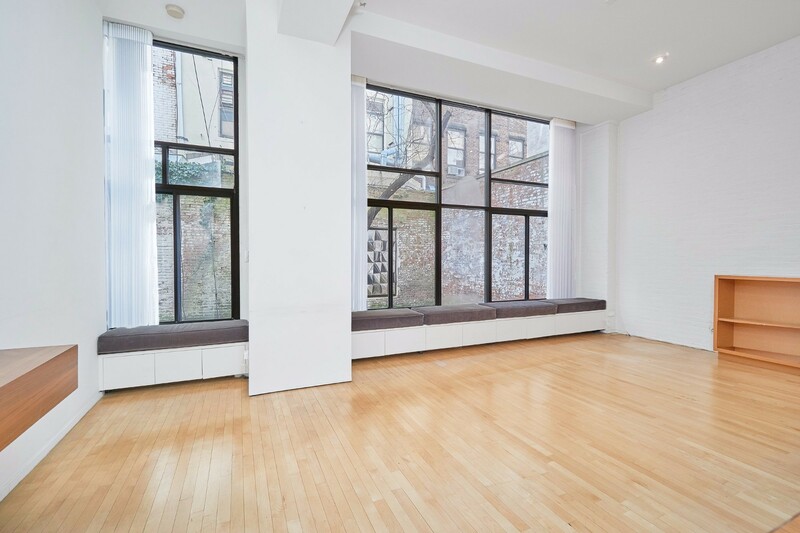 This location is minutes from the C/E, N/R/W, 1, B/D/F/M and 6 subway lines.